Editor's note: An earlier version of this story contained an incorrect price for the tailgate. The suggested retail price is $995. The optional center step is priced at $295. For $995, Ram buyers can opt for a split-folding multifunctional tailgate that Ram officials say adds cargo access. The doors split 60-40 and each can swing open 88 degrees. Ram says the new tailgate is trailer-friendly and can be operated while the hitch and trailer are connected to the truck. An optional center step is available for $295. 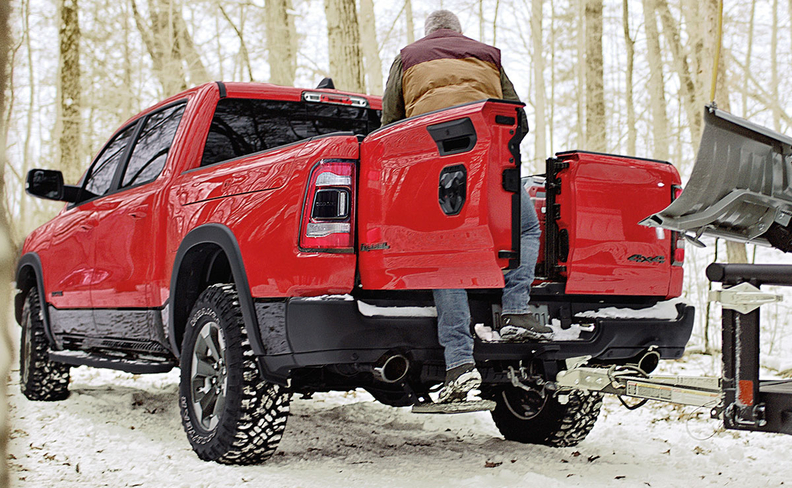 Ram's tailgate has a 2,000-pound load rating.